I'm a newbie to this subject and I didn't see what I was looking for in a search. Are there companies who make matching front and rear rack bags, with the front being shorter? It would be for a bike like the Cinelli in the pic. Just about every pannier maker does smaller front and larger rear bags. I'm sensing this has more to do with style than practicality. I would hesitate to put front panniers on the rack of OP's pictured bike. You might want to look at Berthoud bags from France, and I seem to recall there's a British manufacturer of similar bags. 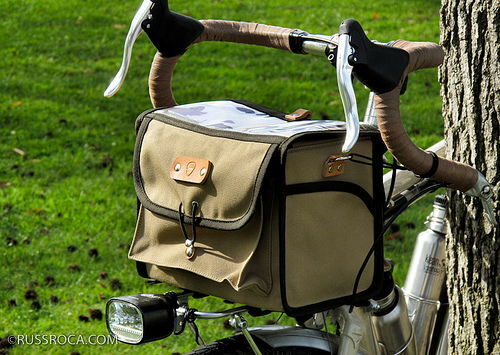 Get a classic front bag, and then a set of panniers for the rear rack. Fair warning: they'll be pricey. You can make that same snobbish reply to every question that's ever been asked on this website, stud. What would the rack in the bike picture be useful for? Just commuting or something? I'm confused. You say you're a noob, and ask a noob question, but you are a Senior Member with 7,791 posts. 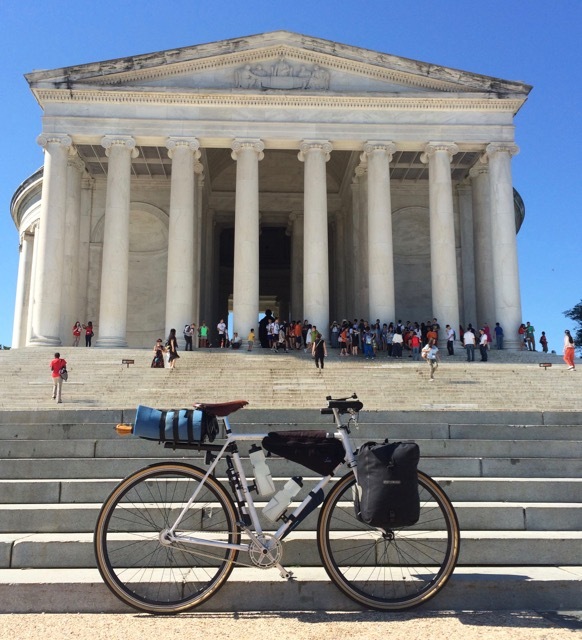 Maybe just a noob to touring? There are dozens of pannier models out there, I am sure if you wanted a matching pair where the front would fit on that rack and be smaller than the rear, you could find them. You would have to think about the size you want and what your budget is. But I suggest you pack the front very light. which may only have the name of a famous Italian bike Brand..
but be imported from elsewhere.. not italy..
so is a different bike ..
rear panniers and big bar bag it shall be..
Carradice and Berthoud use leather trimmed cotton canvas..
Out where hundreds tour the coast, every summer, Ortlieb is the most popular..
Wait- the bike stole another bike's name? What is the actual name of this bike brand then? "leave the spin, take the cinelli"
To answer the OP's original question. Yes. Lone Peak makes rack bags for front and rear racks. The front bag is smaller than the rear. I have them on my commuter/errand runner. I use the Deluxe Expandable Rack Pack on the rear and the Micro Rack Pack on the front. Love them. either licenced from copyright holder, or bought outright. Salsa By QBP, IRD , by Merry Sales Imports.. I'm sure there are others. Masi has been used in a couple non Italian spin offs.. I was pointing our yet another time when you respond with nothing helpful and just rant about how frames are made in Asia. we get it- brand names arent what they once were. at the same time, even when italian brands were owned by the original owner and built in Italy, many were farmed out to builders in the region to keep up with production volume. So back then they were 'just a brand name' too. your post had nothing to do with the topic. Try to stay on topic for 1 week- itd be wild to see. You can mount panniers on the rack pictured. Low-riders are a-thing and may-be-better in a science-laboratory but after a minute of riding with either, low or high mount, you'll be fine. BTW: I've toured with both. this pic is with bags attached to a front rack lile the one in the first post? where does the bottom of the bag attach for this rack? You are correct in pointing out that my rack attaches to the fork at the hub vs mid-fork. But I do think there are mid-fork attaching front racks that'll easily support panniers. Should have added to my post that the OP should look at specified weight limits for any rack that he intends to use. I do know there are front racks that attach mid-fork and can support 40lbs. I added an addendum to my post. Thanks for pointing this out. Last edited by BigAura; 09-15-18 at 01:02 PM.